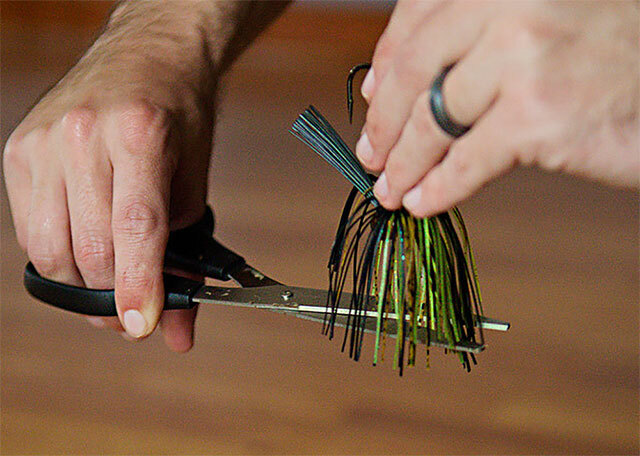 There are a few things I like to do to my jigs before I even tie one on. 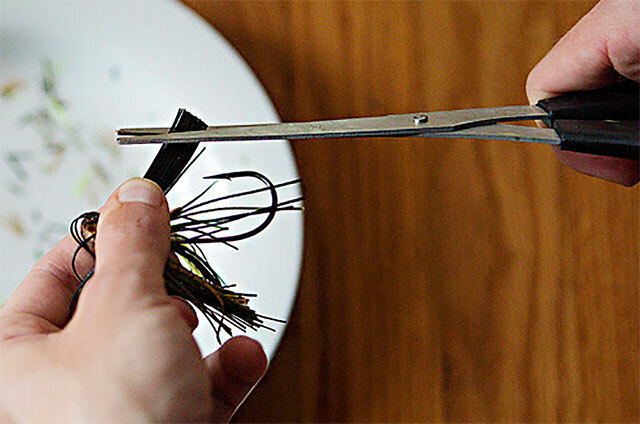 You only need a pair of scissors for these modifications.These quick and easy hacks will help you catch more fish. Often weedguards on jigs are very long out of the package. While a longer weed guard helps avoiding snags, it also gives you less hook penetration on the hook-set. I like to trim my weedguards to where the end of the guard extends just a little past the point of the hook. I also try to trim the guards at a 45 degree angle. Leaving a small amount of weedguard over the point of the hook will still give you a jig that comes through brush. 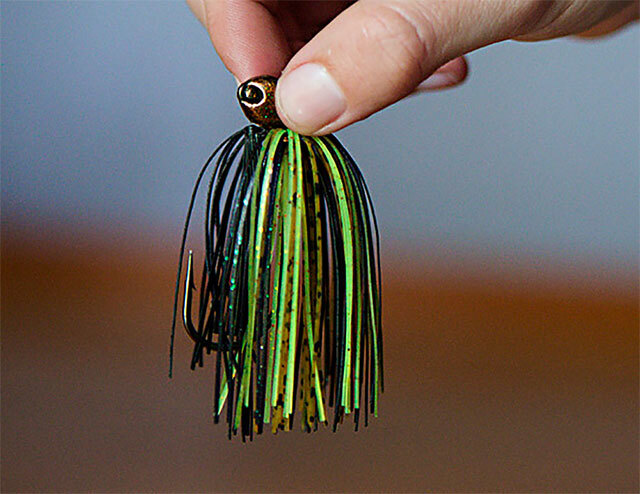 In my opinion, jigs commonly have too long of a skirt right out of the package. Trimming the skirt down gives the jig a smaller profile, and also allows the trailer you select to stand out a little bit more. Remember, you're trying to emulate a crawfish when fishing one. I believe trimming the skirt down makes the jig look more realistic.